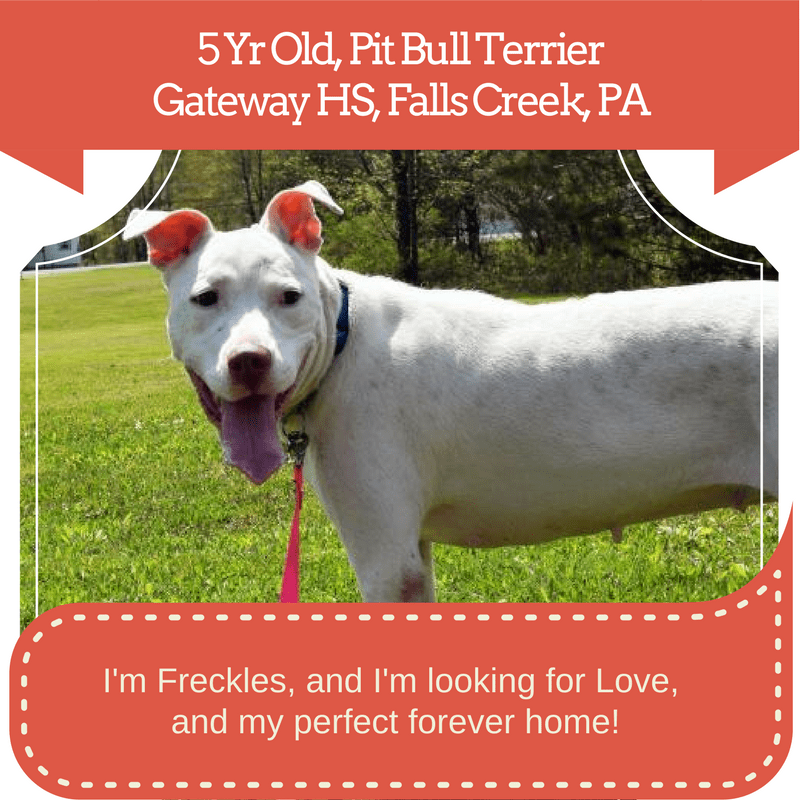 Home > Adopting Rescue Dogs > Long-term Shelter Animals > Let’s Get Freckles Adopted, 5 yr old Pit Bull Terrier. She’s looking for love! Let’s Get Freckles Adopted, 5 yr old Pit Bull Terrier. She’s looking for love! 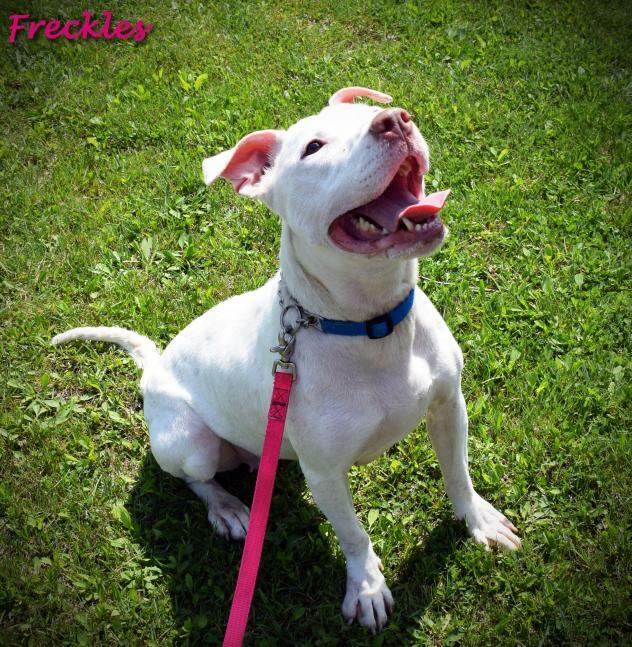 Let’s Get Freckles Adopted, 5 yr old Pit Bull Terrier. 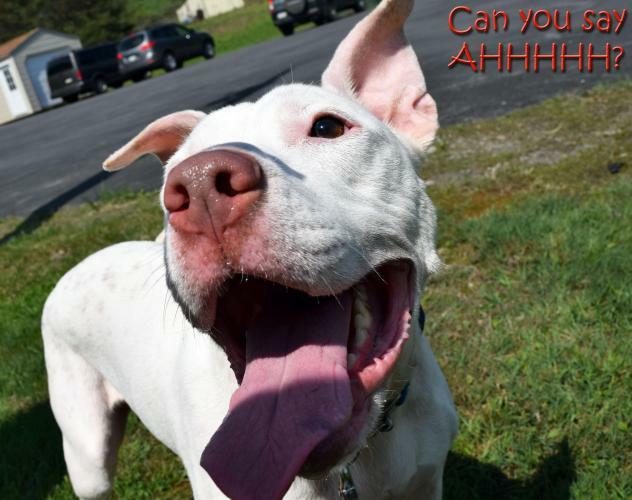 Gateway Humane Society, Falls Creek, PA.
Freckles is a beautiful five-year-old Pit Bull Terrier girl who’s looking for her perfect forever home. Freckles may take a little bit to warm up to you, but once you’ve earned her trust, you’ll have made a friend for life. She loves to go for walks and is willing to show you her tricks; in exchange for treats that is. This gorgeous girl is already spayed and ready to go to the perfect family. For her, the perfect family will be one where she can be the only pet. And there won’t be any small children that she might accidentally knock down when she gets excited.